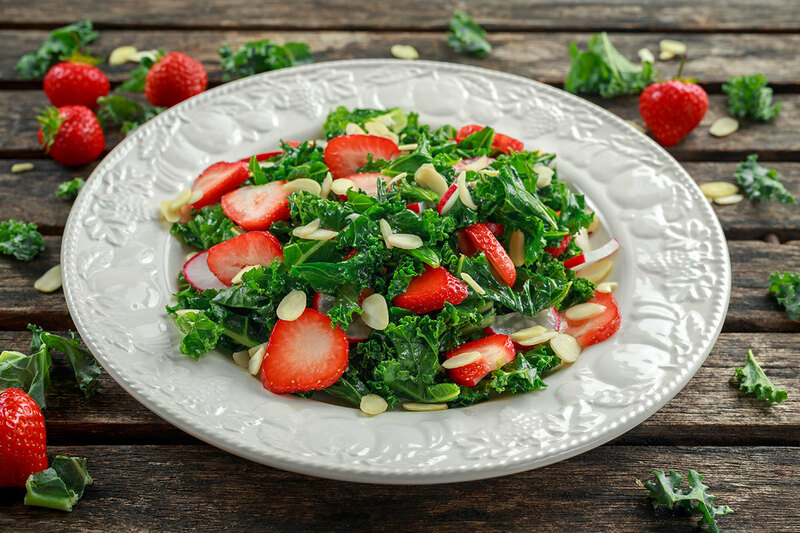 Tart strawberry and crunchy almonds combine with creamy feta and avocado for a delicious and different kale salad. Put the kale in a large bowl. Sprinkle with sea salt over kale and massage the leaves with your hands until the leaves are darker in color and tender. Add the strawberries, avocado and feta cheese. Toss gently.